The Radical 452 GTX boot is as light as it is tough. 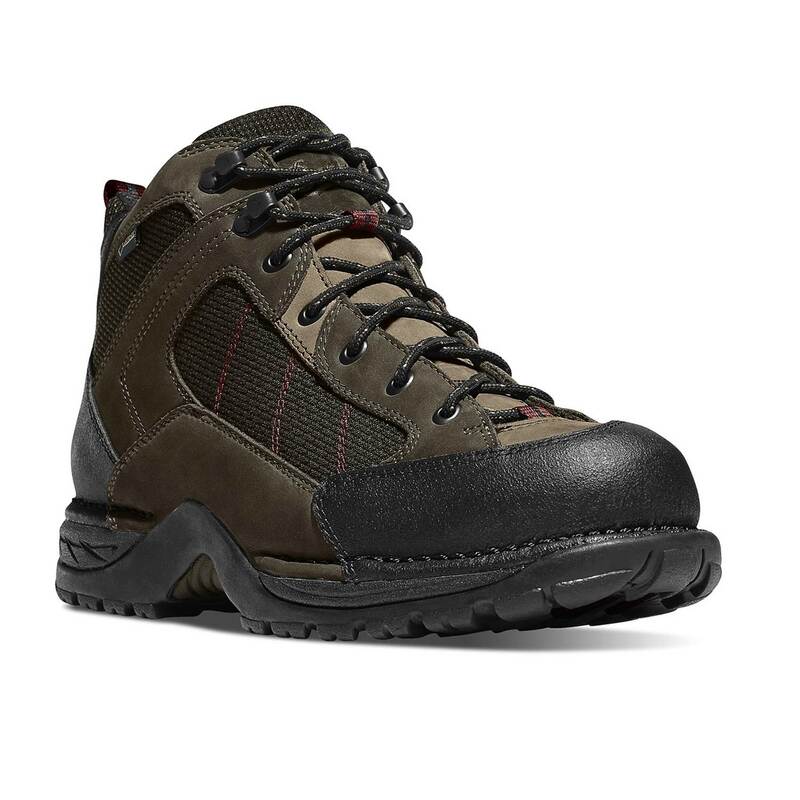 While internal and external support structures, via the patented TERRA FORCE technology, deliver stability and responsiveness, a supportive midsole and sturdy footplate provide comfort, and the waterproof, breathable GORE-TEX liner keeps feet dry all day long. NUBUCK LEATHER UPPER: Our top-grain leather is sanded on the outside to give it a slight nap with a velvet-like feel. This leather upper is extremely durable, while offering a shorter and more comfortable break-in period. ABRASION RESISTANT TOE CAP: For added durability, we've added a scuff-proof toe cap to the area that shows the most wear. DANNER BOULDER OUTSOLE: Multi-directional center lugs and traditional outer lugs provide a failsafe pattern that gets you comfortably and safely to your destination. TERRA FORCE PLATFORM: Provides exceptional support and stability without the traditional weight.